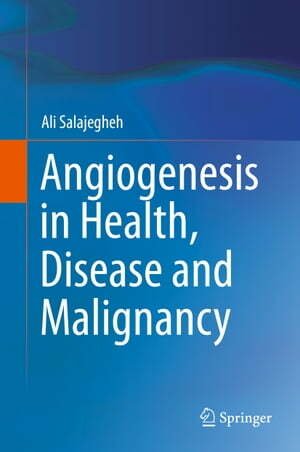 Collins Booksellers - Angiogenesis in Health, Disease and Malignancy by Ali Salajegheh, 9783319281407. Buy this book online. This book is about “Angiogenesis”. A process in which new vasculature is formed from pre-existing capillaries. Angiogenesis process is associated with the proliferation and growth of both physiologically normal and neoplastic tissues, through the formation of vascular supply, essential for delivering growth requirements such as oxygen and nutrients. The book describes more than 100 genes and their key regulatory functions in the context of normal healthy condition, disease and malignancy, cancer proliferation and progression. New insights into the role of angiogenesis and the therapeutic inhibition of its regulators are investigated, due to the great potential for exploitation in the development of a novel treatment for cancer. New scientists, junior researchers and biomedical science students will find this book an invaluable introductory reference to their insight about angiogenesis and angiogenic role of more than 100 angiogenes and their role in healthy, disease and malignant conditions.